(Phys.org) —The world's first mission to the South Pole of the Moon was announced today by the International Lunar Observatory Association (ILOA) and Moon Express, Inc. 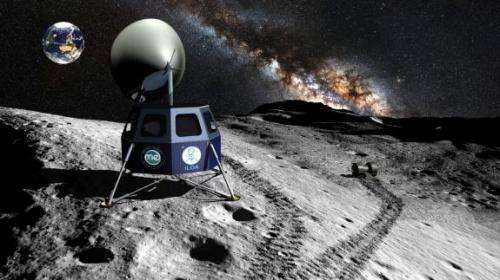 The private enterprise mission will be both scientific and commercial, and will deliver the International Lunar Observatory (ILO) to the Moon's South Pole aboard a Moon Express robotic lander, establishing permanent astrophysical observations and lunar commercial communications systems for professional and amateur researchers. Moon Express will also utilize the mission to explore the Moon's South Pole for mineral resources and water. Lunar probes have provided compelling evidence of mineral and volatile deposits in the Moon's southern polar region where energy and resources may be abundant. The ILO, with its 2-meter dish antenna, will be the world's first instrument to conduct international astrophysical observations and communications from the lunar surface, providing scientific research, commercial broadcasting and enabling Galaxy 21st Century education and "citizen science" on the Moon. The announcement was made during a NASA Lunar Science Institute conference at NASA Ames Research Center in Mountain View, California. "The ILO will demonstrate the value of the Moon for scientific study of the Galaxy, Moon, Earth, Sun and Stars," said Steve Durst, founder and director of the ILOA and Space Age Publishing Company. "We are a global consortium of scientists, educators, entrepreneurs and visionaries who seek to establish a scientific presence on the Moon followed by human exploration and eventual settlement." Space Age Publishing Company, ILOA's commercial affiliate, intends to broadcast its Space Calendar weekly and Lunar Enterprise Daily via the ILO. ILOA expects that the South Pole mission could take place as early as 2016 and contribute to humanity's growth as a multi-world species. "We are very excited to our announce that our second Moon mission will be to the lunar South Pole to deliver the International Lunar Observatory and to prospect for resources," said Moon Express CEO Dr. Robert (Bob) Richards. "The mission will provide a historic landing in an unexplored region of the Moon that may harbor some of the greatest resource deposits in the solar system." Earlier this year on May 25th, ILOA and Moon Express unveiled the ILO precursor instrument that will fly to the Moon in 2015 aboard the inaugural Moon Express mission. Details of the "ILO-X" flight instrument hardware are available here. The ILO-X instrument was on public display and actively demonstrated during the Singularity University / Fox Studios "Backstage Pass to the Future" event on June 1st, 2013 in Los Angeles. The ILO and its precursor will have an internet-based access and control system and will be the first private space telescope to operate from the lunar surface, available to researchers, educators and the general public through the internet, allowing the world to access Galaxy / astronomical images from the surface of the Moon and creating a new model of "citizen science" public participation and international collaboration. Provided by Moon Express, Inc.
About the only thing that's right in the picture, is that the Earth is upside-down. The illumination of the Earth conflicts severely with that of the Moon module. And I'm not even starting about the orientation of the Milky way, or its center (visible in the picture) with respect to the Earth and the Moon. But, oh, well, I guess all that goes under the umbrella of Artistic Freedom. The only bad thing is the millions of young aspiring scientists, who would deserve proper illustrations. And I really have to apologize, but the form of the Parabolic Antenna is actually that of a Classic Orchestra horn. It's never even heard a rumor of Parabolic. Then comes the question of, why go to the South Pole if you are going to bathe in sunlight? Wasn't the whole point of the expedition to explore areas of eternal shadow? And last, what is the point of the runaway dumbbell? Is it an autonomous vehicle (a stupid design, if I ever saw one), or is it a thrown away part from an exploded rover? -- I'd classify it under Gratuitous Paraphernalia of Artistic License. We are told this picture is provided by Moon Express, Inc. Does that mean that they despise the General Public, or even anybody who is not directly involved wit giving them money? Would a craft that goes to the Moon with no atmosphere, have a sleek fuselage? Would a craft with no astronauts have many nice windows? If the Earth wasn't upside-down in this picture, then one could dismiss this as just another illustration ripped off of the net. But now, one can't avoid the thought that this particular picture was made on a commission, with their specifications. And that means the CEO has personally approved this picture. Therefore the CEO either has even less understanding of the universe than the general public, or else he really feels the picture only needs to Look Nice, like a Flash Gordon front page. Which leads us all to the revelation, Space Travel ain't what it used to be. And that has changed for good. Now we have these guys, and the phone operator / music company boss, and who knows who else. But then, I guess that's what we call Progress. Sigh. I didn't really examine the accompanying illustration before reading the article as you did. Your observations may be quite correct, but do you suspect the image represents the actual conceptions of the project's designers? It could be just as likely that a PR hiring oversight or budgetary restrains resulted in this work being contracted out to the currently popular Korean Photoshop Trolls. They do interesting work, but they rely on a nominal amount of input from their clients. "Would a craft that goes to the Moon with no atmosphere, have a sleek fuselage? This is the kind of nonsense you get when amateurs are involved. Probability of success = 0. On the contrary Valdicar, amateurs always lead, professionals follow. Off the top of my head. The Wright Brothers, Arthur C Clarke, packet switching (Ham Radio). Amateurs don't have a reputation to defend therefore they can take risks. My second thought (shame on me) was: what an awesome web site to pwn. Implementation-wise, there will, of course, be a ground based proxy. Whatever link they have won't be able to sustain the traffic. Regarding the accuracy of the illustration: this is overreacting. It's like criticizing grammar. Despite flaws, the picture communicates and that's all it needs to do. No, it's not going to permanently warp young prospective scientists. Some mighty solid arguments here. I'll add my 2 cents. It's a picture. Pick-shur. Now, you try using it in a sentence. Instead of carping why dont you twy to answer some of your own qwestions? Apologies to those experiencing pain over the creative artwork. Please try to just consider it a 'movie poster", intended to inspire & communicate the main themes but not tell the whole story. There was no intent to poison young minds against accurate astronomical renderings or mislead young engineers with (obviously?) low fidelity reality. We are happy this story has become so popular to reach reputable technical sites like phys.org where people able to dissect engineering and physics reside. Had we been targeting technical publications, we would have included a little more "meat". Although the lander is rendered with low fidelity, it is an extrapolation of real engineering. For those interested in our lander test vehicle, developed in partnership with NASA, you can see it on our website with more details on our YouTube channel. Of the lunar poles, the south pole is of greater interest because the area that remains in shadow is much larger than that at the north pole. I would like to announce here the worlds first private mission to the center of Pluto. I have a picture of the mission goals in my picture cache, drawn in Microsoft paint. Seriously, We are planning on sending a robot monkey butler and two of the cast members from Big Bang theory once we ask them and they agree. Seriously. We are going to pluto. Thank you. I will check out your you tube channel and web site. I am very interested in private space exploration. Good on ya mate. This seems like a more reasonable goal than going straight to mars just after you have proven you can reach the space station. If you don't like the picture here, then you're really gonna hate the one on their mission goals web page, with a railroad track going straight up into the sky towards the moon. I mean, OMG, that's just SO unrealistic. lol. Since the first lander is supposed to include a comm's relay, it's not inconceivable that it might utilize an over-sized version of this type antenna. If you live in a rural area, your wireless broadband may come from this type of device on a tower. I think the most interesting aspect of lunar prospecting right now are the legal questions. Thier wiki page briefly mentions the legal questions, so it's a good place to prime for the discussion, if you're interested. They mention international law regarding fishing. That would be an interesting choice for precedent, and an unfavorable one I think. Fishermen can poach eachother's teritory, so prospecting an area wouldn't prevent someone else from beating you to the goods. 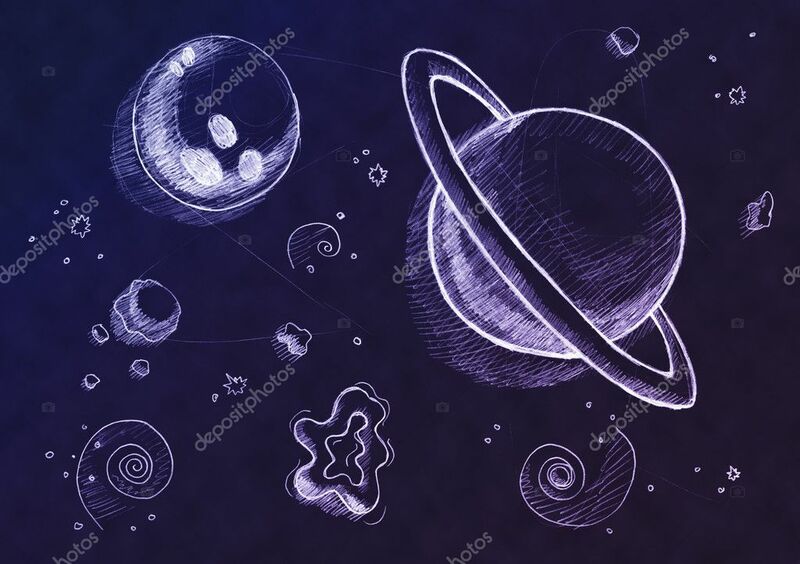 International sea laws also have salvage laws that may not be favorable, and would conflict with current space treaty agreements, which gaurantee the return of equipment to its owner in the event that someone else recovers it. Fishermen tend to be very secretive about how the fishing is at a given location, or where they plan on fishing next. That would run counter to the public interest for research purposes, so is there a case to be made for imminent domain for the public good, in regard to this kind of information? What about water use? If there's not much there, who gets it? I know, TLDR, but one more thought. The above legal questions become REALLY important if you're investing big money in the project, or if you're a corporate officer, with legal accountability for the actions of the company. I certainly wouldn't want to get sued by the EPA, for example. I also wouldn't want the government to seize the contents of a sample return mission and then be in breach of contract to the people who had pre-paid for them. Who knows what kind of quarantine and customs nonsense they might try to pull. Can a private company just bring stuff back from space? Do they need to pay an import tax? How does that work? If somebody is making big money on it, you KNOW the government will want its share, but what is its share? They helped get the project going in the first place, so how much are they entitled to? Oh, that's an interesting thought; NASA being self-funded through service fees and leasing agreements. That may be cool. Insightful GSwift. I think this venture might also lead us to re-examine our notions of value. The moon is a sterile environment permanently bathed in lethal radiation. It is also pristine. Should it be exploited or preserved? Mines, or a national park? Yes, I think that's right on the money. Once it gets to the point where the players start making big money, it'll get messy. At the risk of sounding like our friend Otto, I would like to point out a science fiction work as an example; "The Asteroid Wars" trillogy by Ben Bova. The technology is irrelevant, but the politics and corruption are interesting (yes, they are exagerated, but scale them down a bit and think about it). Once money starts flowing a seperate government forms on the moon, after a revolution. Some version of the United Nations tries to take control of space law. The environmental cults go nuts and throw big money into campaigns to block it. Financial returns make lots of new billionairs while working class people face the most dangerous working conditions of all time. Of course that sparks another source of protest. Legal nightmare.